Dar Tassa Client Comments, Reviews and Testimonials. 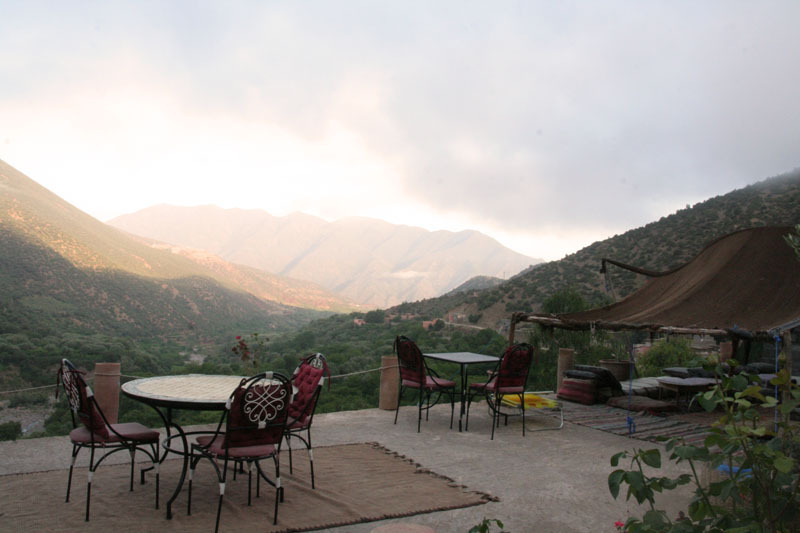 Book Dar Tassa Today with Hip Morocco - Holiday Accommodation in Atlas Mountains and Ourika Valley, Morocco. 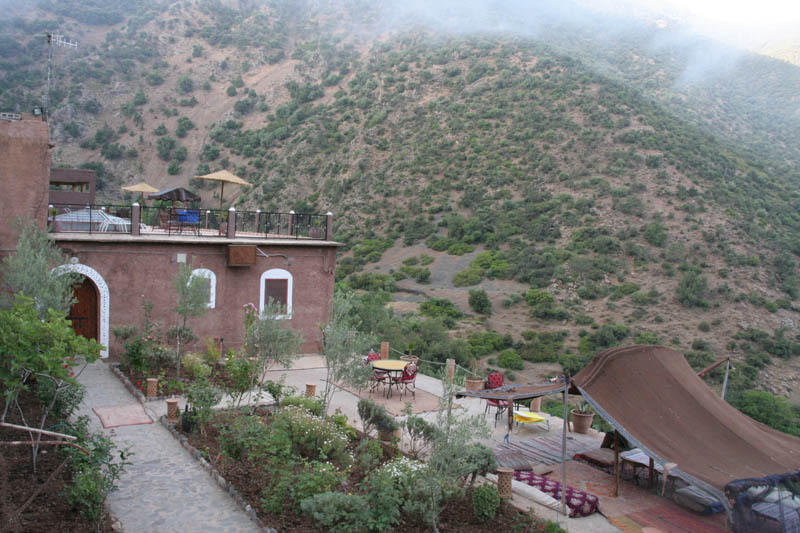 "Breathtaking views and simple inspiring surroundings"
Dar Tassa's tiled rooftop provides a restful platform from which to soak up the stunning 360 degree panaroma: spanning the snow capped peaks of Toubkal Park, sweeping down to give a bird's eye view on daily life in a sleepy Berber village, and flowing along the verdant riverbank to the distant vistas of the Azzedine Valley. This secret corner of the National Park is a quiet alternative to the swamped trekking bases, yet easily accessible via taxi or a car. 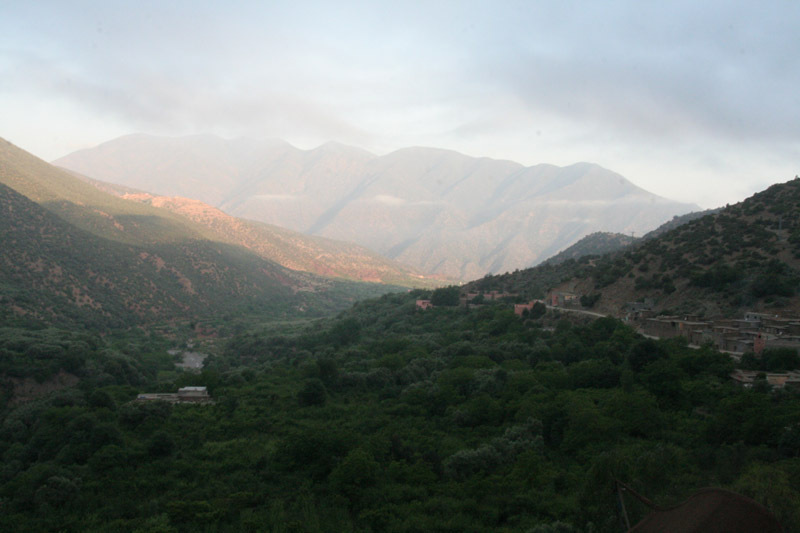 Dar Tassa leads a trail into every part of Toubkal's most stunning terrain. For the easy going, there are many easy walks, and for the diehard enthusiasts there are plenty of opportunities for hiking, climbing, and horse riding. 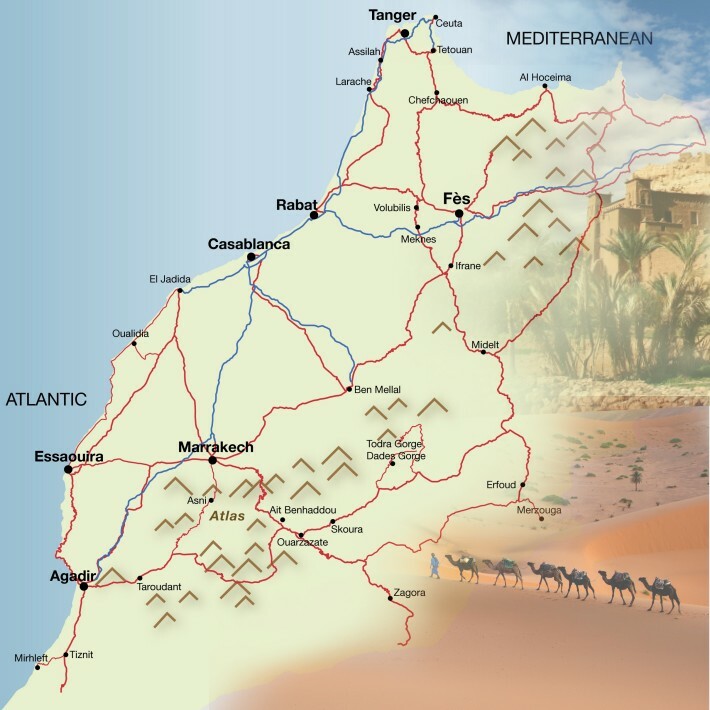 What really puts our refuge on the map is its location in the shadow of the Takkerkhort Reserve, a long established sanctuary for the regal Barbary Sheep, endemic to Morocco and protected. We can arrange for resident experts to guide you into the refuge to see these wild and woolly members of this magnificent endangered species. 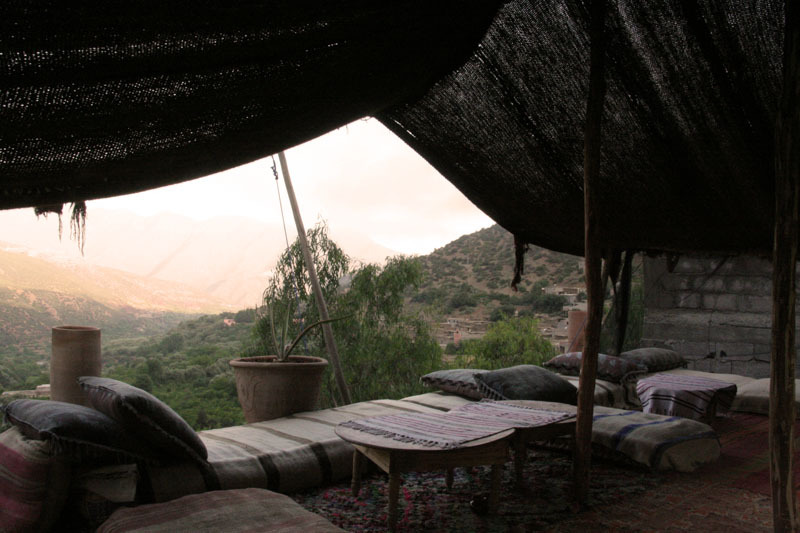 Served under the Berber tent or on the roof terrace with stunning views over the valley, the food at Dar Tassa reflect the spirit of the mountains: fresh and generous. Fatima makes the most wonderful tajines in her oversized kitchen. Breakfast, included in the price, is served in the warmth of the lounge. 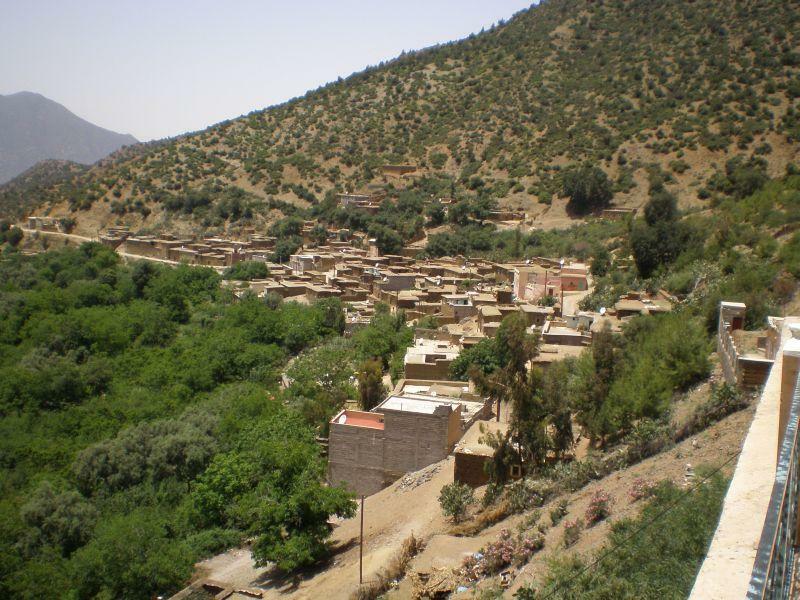 Included to your stay, a lovely tour around the valley and local Berber village conducted by either Said or Mohamed, to best help you get your baring around the region and understand the culture better. "The location of Dar Tassa is stunning, especially with the terrace overlooking the village – more beautiful than we’d been led to expect from the website/photos – and the walk up the valley provides incredible views and a great day out (we ordered a picnic from Fatima and were delighted with the nice touch of a tablecloth and backpack to put it all in!). We ended our stay relaxed and ready for the chaos of Marrakech once more. 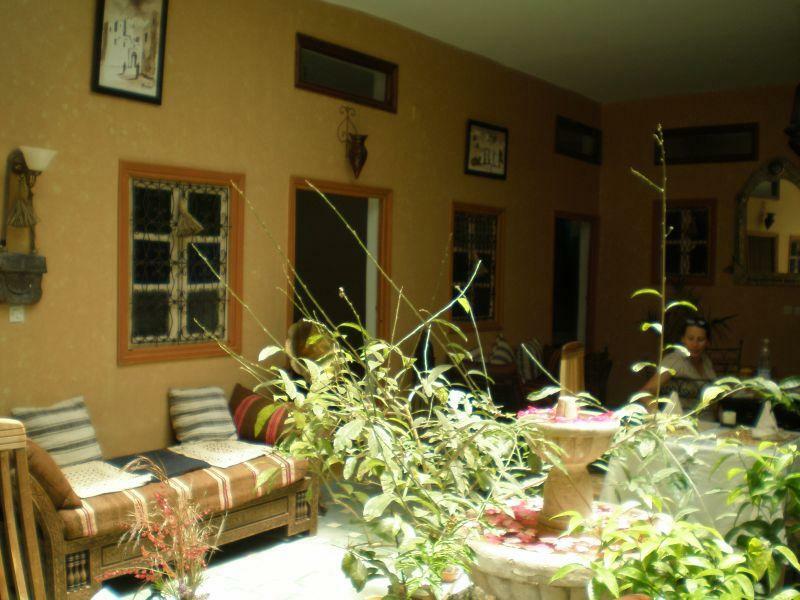 We would certainly recommend Dar Tassa to other guests." 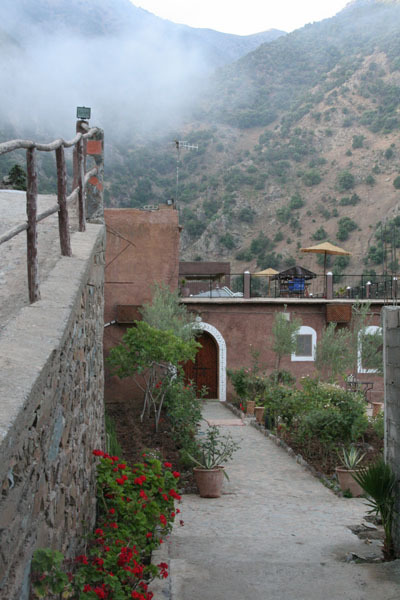 "Dar Tassa is a very nice and lovely guesthouse located in the Atlas mountains with a stunning view over the valley - best enjoyed while sipping an authentic mint tea on the terrace. I enjoyed the three nights I stayed there a lot - not least thanks to the very friendly and helpful stuff, excellent fresh and tasty food and the beautiful setting and environment, which offers great hiking possibilities. 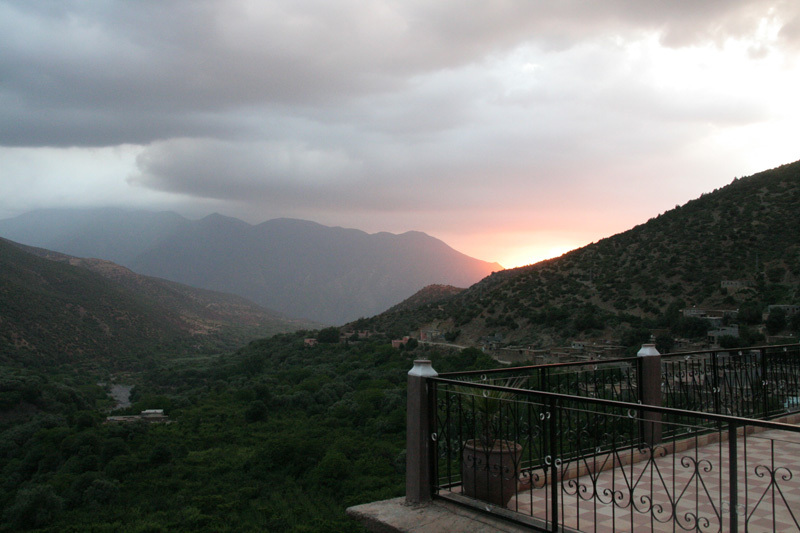 My stay at Dar Tassa was one of the highlights of my Morocco trip." 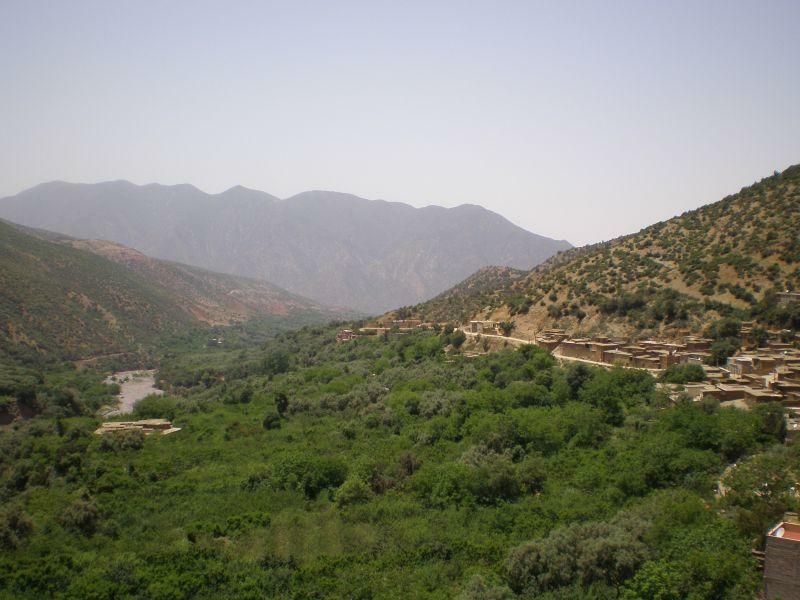 Located 20 minutes drive up a dusty dirt road from the sleepy Berber of Ouirgane, Dar Tassa is perched at the top of a long mountainous valley alongside a small Berber hamlet offering stunning views of the tree-lined gorge below. 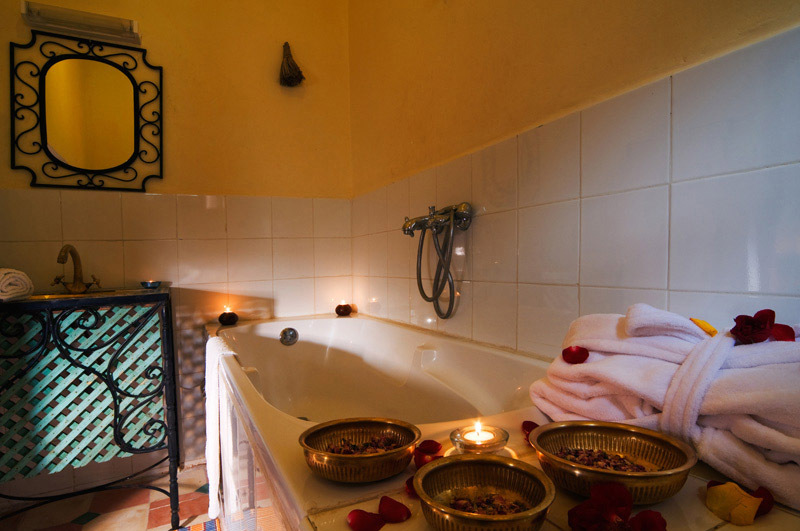 The standard rooms at Dar Tassa are intimate yet inviting, set as either a double or twin, they open out onto the elegant Moroccan communal salon area with low benched seating and dining tables with chairs. Crafted in the style of a humble mountain lodge with thick Moroccan decorated blanket bed linnen and warming intimate lights. 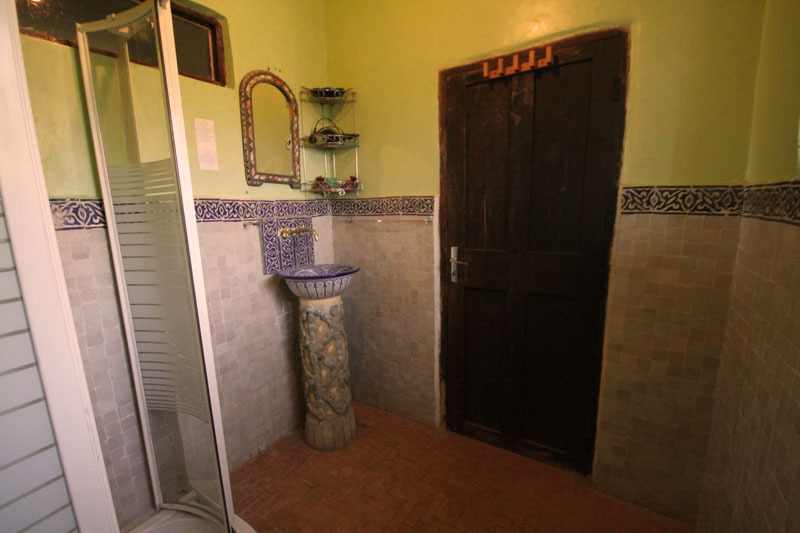 The standard rooms have a shared bathroom facility with shower facilities. 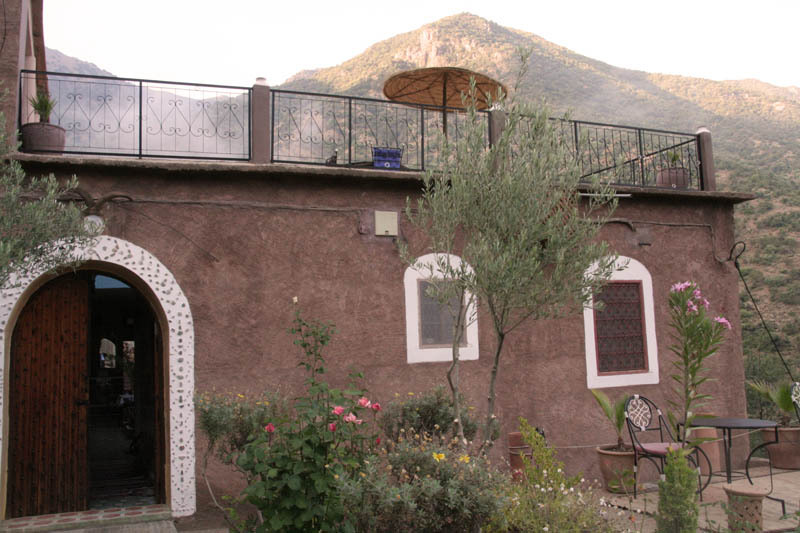 These rooms at Dar Tassa are simply furnished but in such a beautiful location, that they have all that guests could need for a deeply relaxing holiday in the Atlas Mountains. The superior rooms at Dar Tassa are on the ground floor level facing out to the picturesque valley below with wonderful room views. 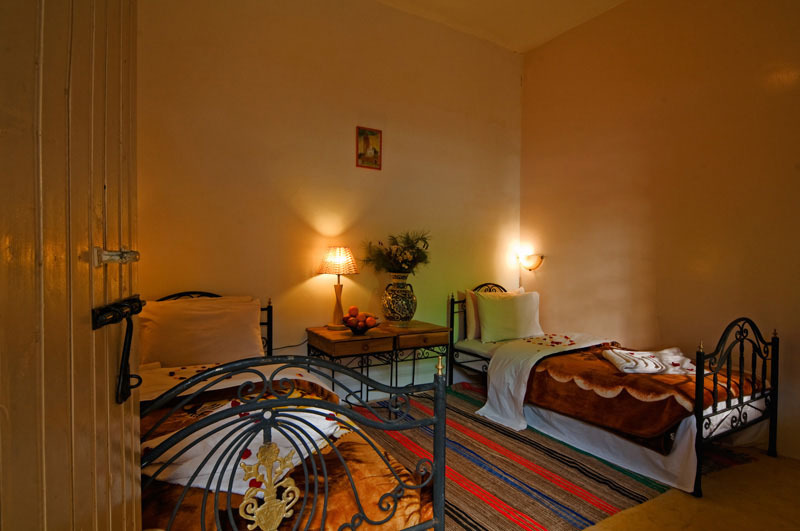 These two comfy love nests are prefect for an intimate romantic getaway in the Atlas Mountains with a large kingsized bed and ensuite bathroom with bathtub. 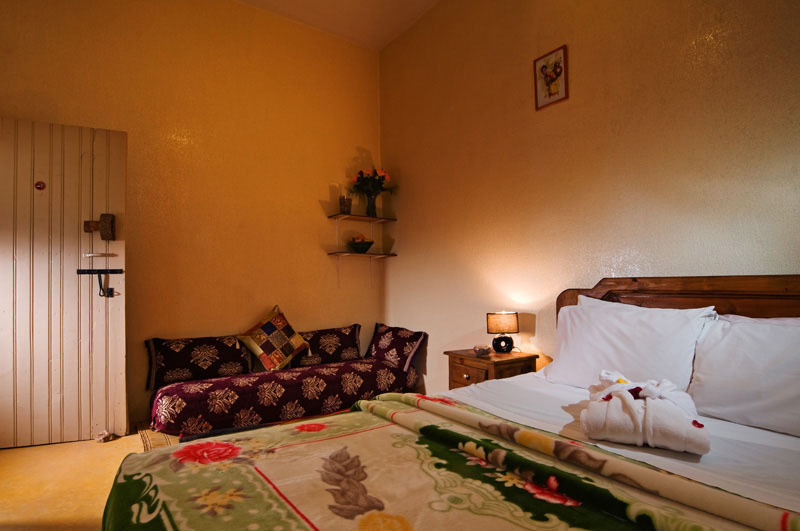 For a small family, these rooms can accommodate an extra bed upon request. The supreior rooms are equiped with Air conditioning and heating to accompany a stay high up in this beautiful mountain gorge. 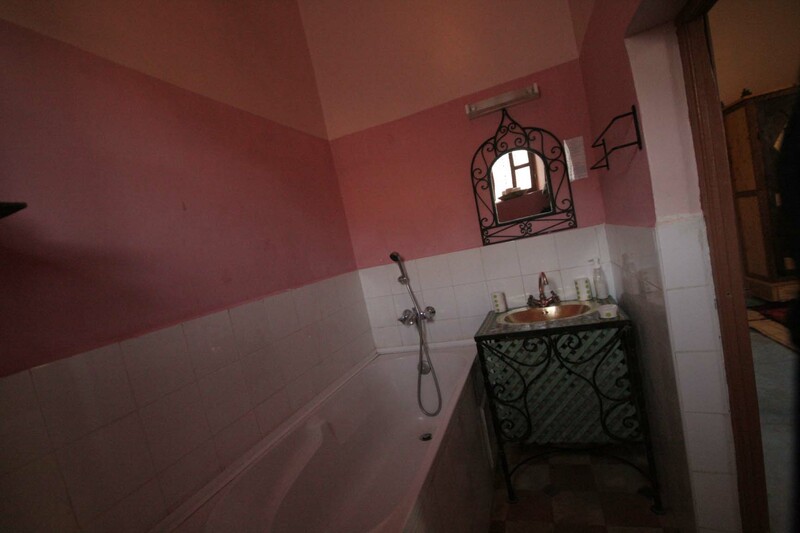 The ensuite bathrooms are a good size and come with fresh towels and quality toiletries. 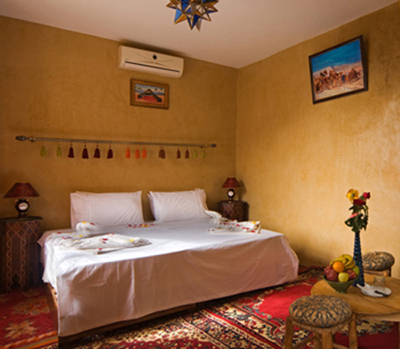 The spacious suites at Dar Tassa are set away from the main living area, offering a more intimate atmosphere very well suited for a secluded romantic getaway in Morocco. The suites have a small seating area and uninterrupted window views of the wide open valley below and towering Mountain backdrops. 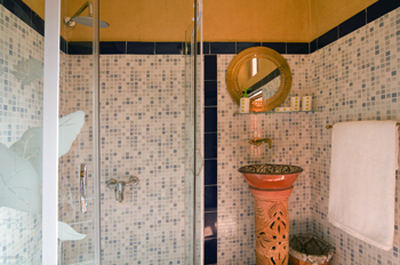 The suite bathrooms at Dar Tassa have showers and decorated in mosaic tiles or hand made zelijj (traditional Moroccan art tiles from Fez). The newly opened Family suite is perfect for a family or a group of friends able to accomodate up to 4 people. This room has its own large private balcony with sun loungers, tables and chairs. 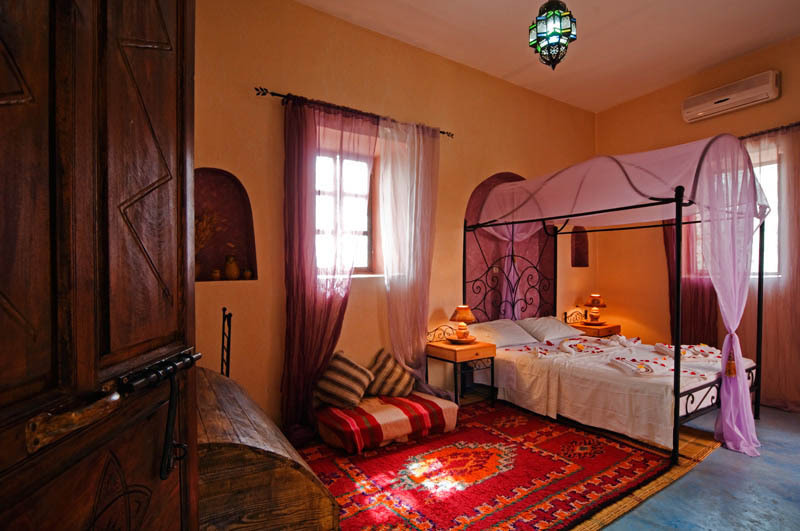 The Family suite has an extra large double bed and a modern Moroccan luxury but still remaining traditional to the roots of the surrounding Berber villages. 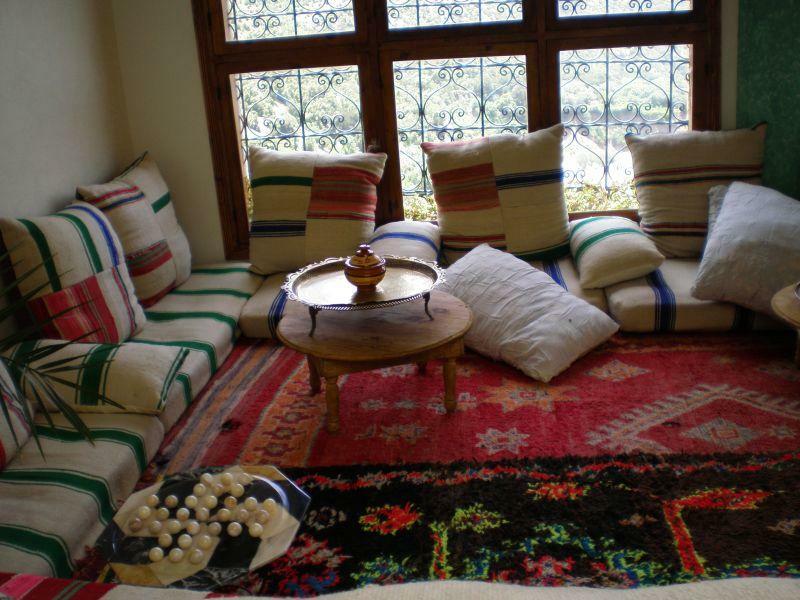 Furnished with well placed Moroccan crafts, this suite at Dar Tassa is a house of tranquility: the perfect space for deep mountain relaxation. The bathroom is very spacious crafted out of beautiful yellow tadelakt with a deep bathtub big enough for two and more. The suite is eqpped with heating and air conditioning. 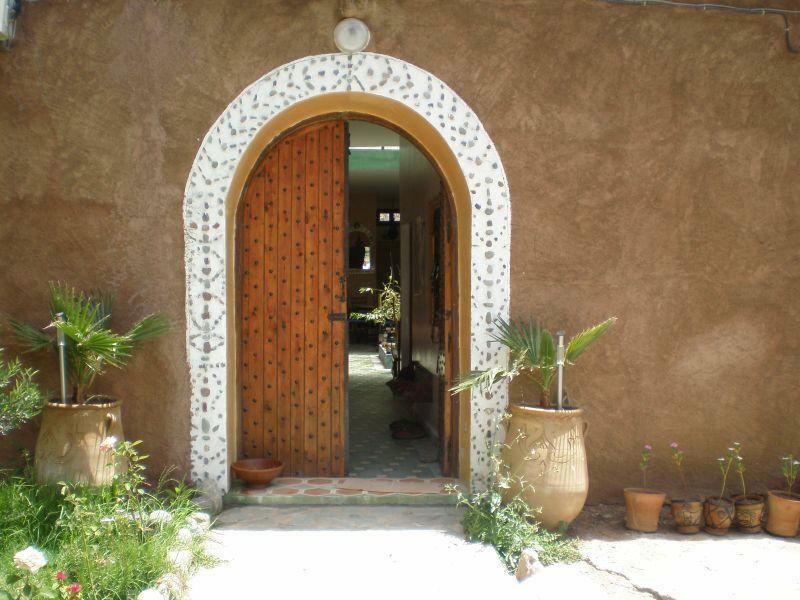 The base rate price at Dar Tassa is in pounds, euros, or Moroccan dirhams and exchange rates are approximate.